Hi! Welcome. 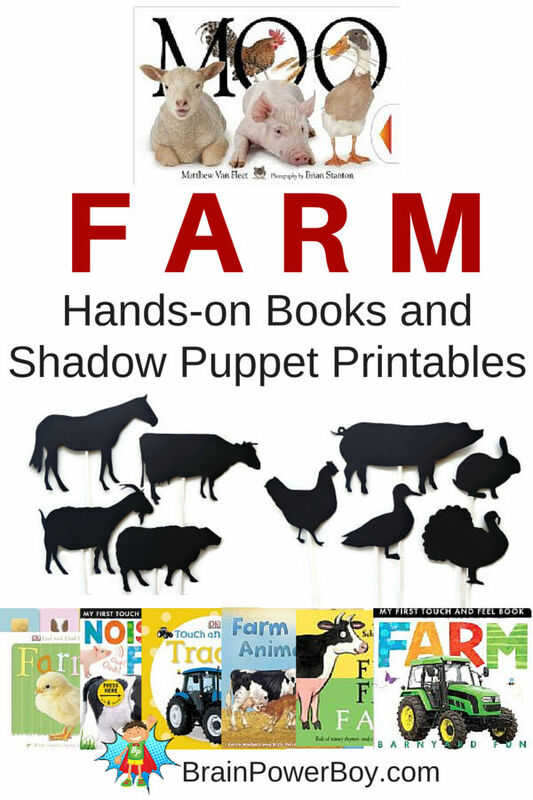 Enjoy these Farm Books for Toddlers and Preschoolers and make your own farm animal shadow puppets for a fun hands-on storytelling activity with our free printable farm silhouettes. Even boys who don’t particularly like to sit still for a story usually really enjoy the interaction of these toy and movable books. 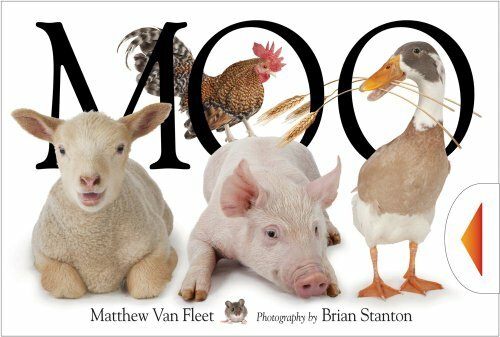 These farm books for toddlers and preschoolers are the best books for boys on this topic. 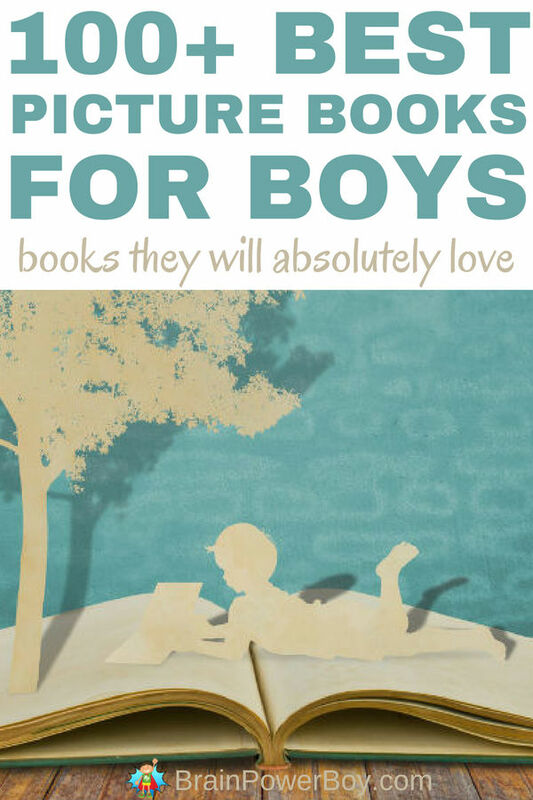 I decided to focus on hands-on, interactive books because hands-on learning is super for many boys. Touch and Feel Farm has a fuzzy chick, a furry dog, a bristly pig and more. It is only 6 double pages long but the images are nice and big, as are the texture spots. Touch and Feel Tractor by DK is a winner. It is a nice sturdy board book all about tractors. Toddlers can feel the tires of the tractor, the bumpy soil, and the rough bale of straw. Good textures are used for each item. 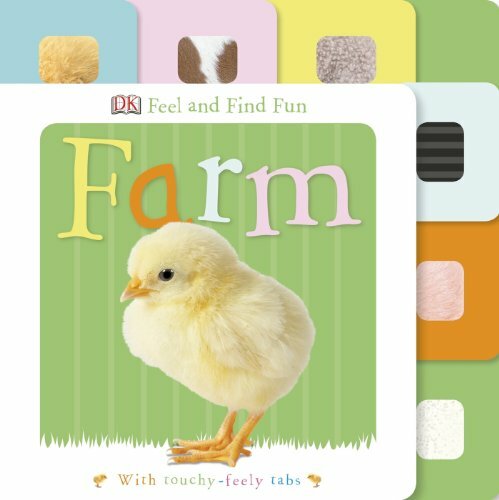 From the oh so cute little chick on the front cover, to the adorable pigs at the back, Feel and Find Fun Farm is enjoyable through and through. Each page has a textured spot on it and the interesting thing about this book is that it also has textured tabs. Great photos! The first time we saw this book we knew we would love it. Moo is a delight. Even the cover is interactive! It has a touch and feel aspect, lift the flap, and some movable parts. It also includes a rubber ducky squeak. A full package of interaction. 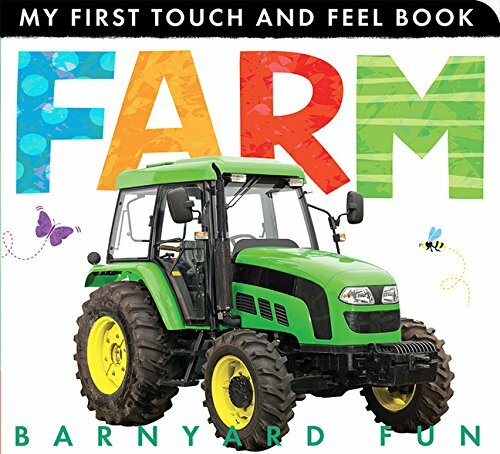 This farm book for toddlers and preschoolers is Highly Recommended! 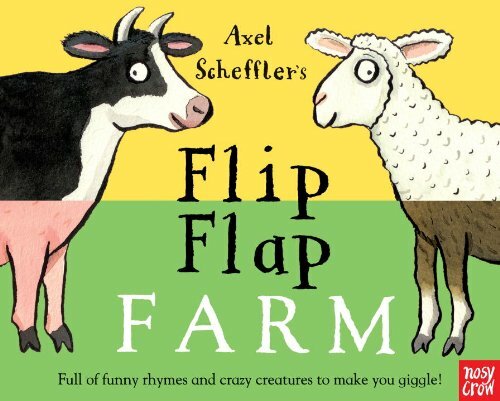 This lift the flap book for boys who are a bit older is Flip The Flaps Farm Animals . This book takes things one animal at a time, gives some information and asks three questions. The answers to the questions are under the flap. Plus when you lift the flap the picture on the other page changes as well for a bit of a “what is different” game. Nice. 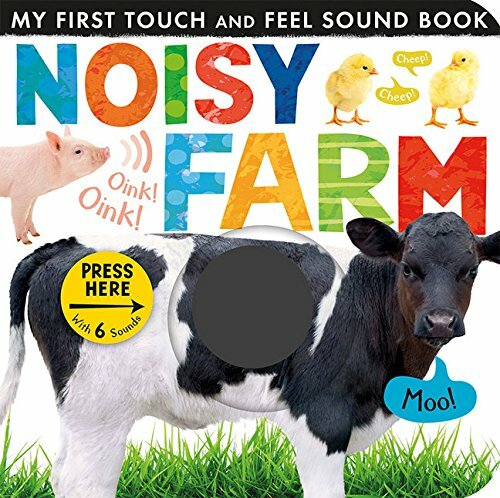 Noisy Farm is a push the button book that also has texture. Each button makes an animal sound. A nice touch and feel book with excellent images. Another book by the same publisher as Noisy Farm (above) is the rhyming book Farm: Barnyard Fun. No sounds in this one but again, the images are wonderful and there are textures to touch and feel. 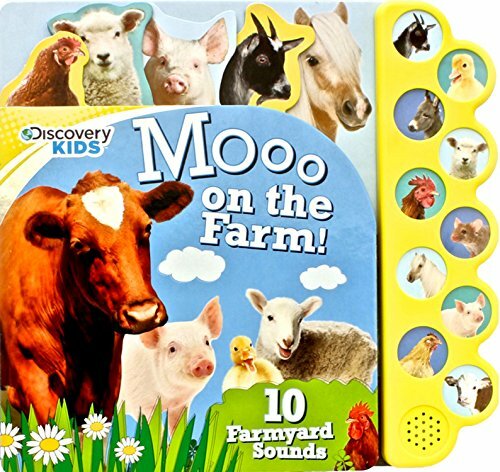 Discovery Kids Moo on the Farm is neat as well. It has 10 sound buttons that make animal noises. 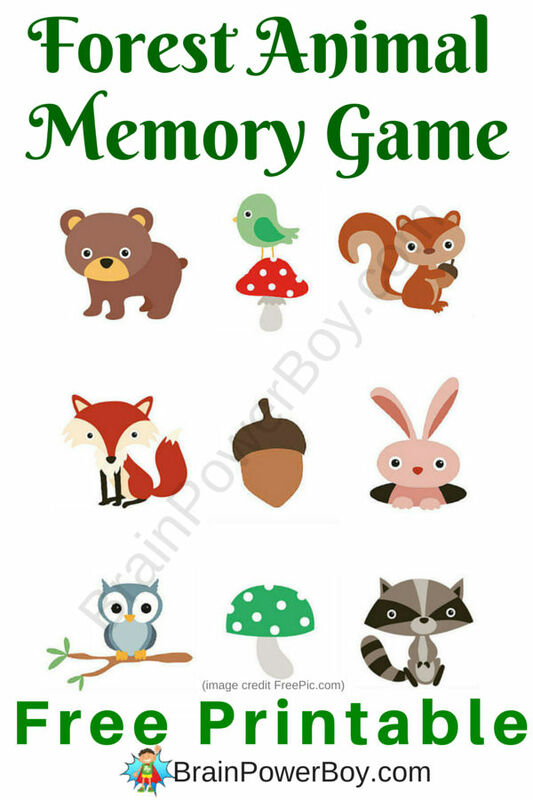 Match the sounds and the animals for a fun learning and memory experience. Those were our favorites, I think the will be favorites in your house too. 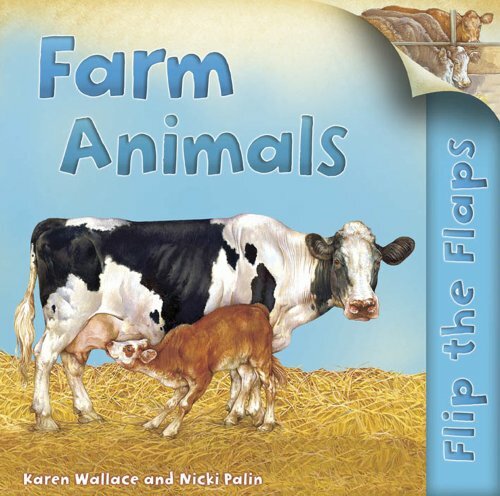 I hope you find some wonderful interactive farm books for toddlers and preschooler to read with your kids. After looking through all of the farm books we got the urge to do some sort of hands-on project surrounding farms. We settled on shadow puppets! I am a huge fan of shadow puppets for open-ended storytelling. I love the stories kids come up with when they are playing with their puppets. After a crazy amount of looking, we found a lovely set of silhouette farm animals. We then tweeked them to make them perfect for this shadow puppet activity. 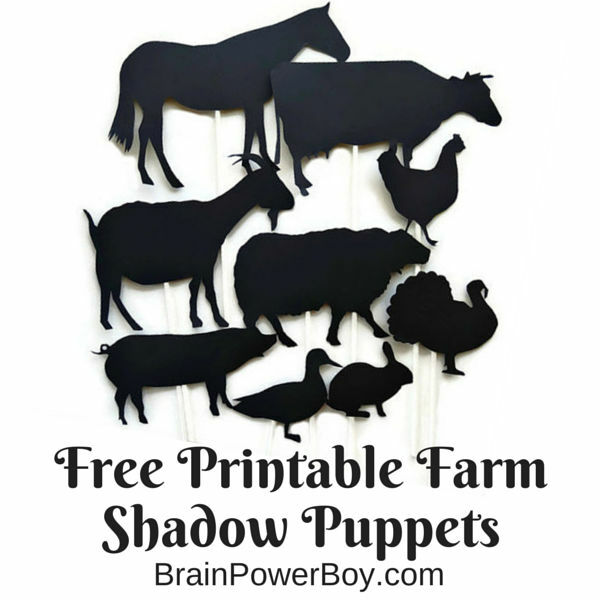 The farm shadow puppets will most likely need to be made by an adult although kids could certainly help with construction. 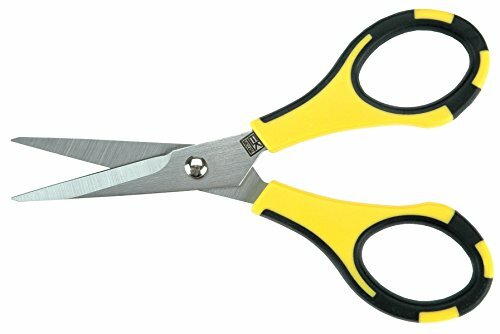 I suggest using a sharp scissors so you can cut sharp lines and the tiny details. TIP: The cleaner you make the cuts, the better the shadow effect of the puppets. Print out the animals, cut them out, glue them to cardstock and cut them into the animal shapes. 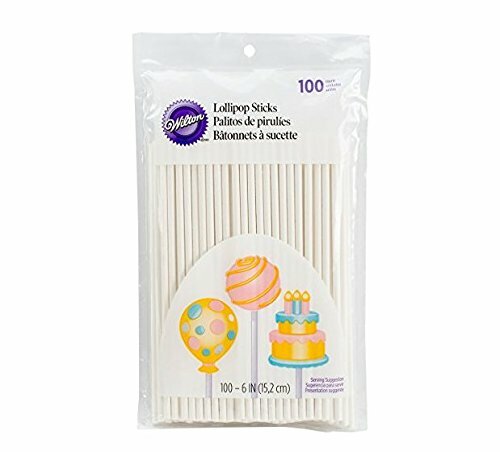 Either way, you will want to use cardstock. I suggest black cardstock as it works out the best with the whole shadow aspect of the activity. 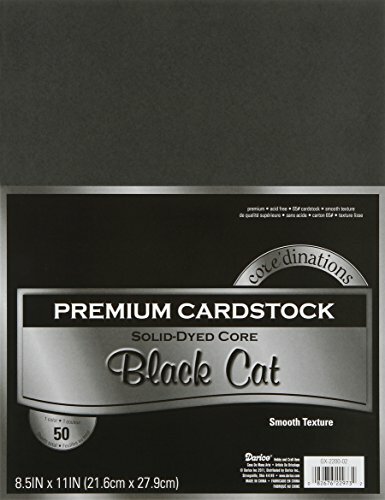 If you are printing out and gluing them onto cardstock you could use another dark color in a pinch. I made a short video of the construction. Someone told me the best cutting tip and I wanted to share it with you and also show you how it looks. Turn your paper, not your scissors. I learned this years ago and it makes everything I cut turn out so much better. Cut out your farm animals and attach your sticks to the back with tape. Here are the other participants in the Poppins Book Nook Virtual Book Club below and visit Poppins Book Nook to get the wonderful book club printables available for you to use with your kids. Thanks Marie. I couldn’t cut it out so the punch came in handy! LOVE LOVE LOVE this! 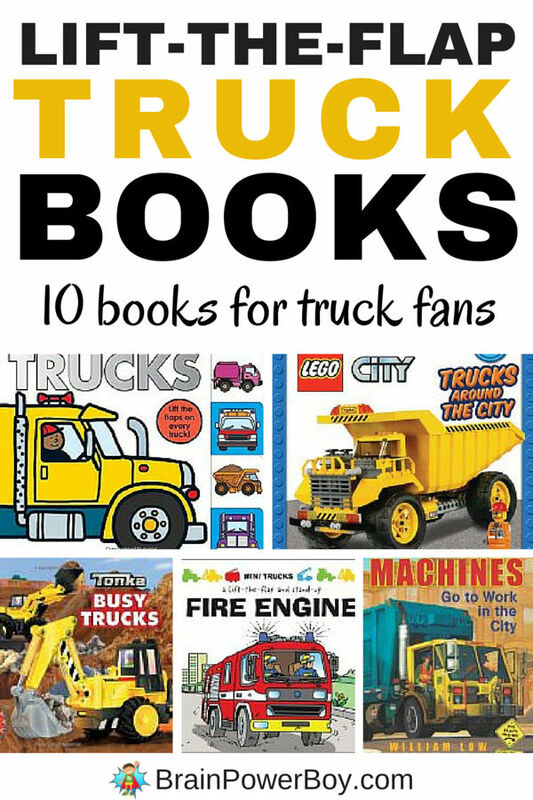 My boy loves cows and so we have some of these books already but I’m adding the others to his wish list on Amazon. Your shadow puppets are brilliant – thanks for the cutting tip – we’re going to have to make this! So glad you like them Clare. I am thrilled to hear that you are going to use them. This is AWESOME! Thank you so much — I actually just bought a tissue box just to make a puppet theater, lol, so these are perfectly timed! Great Jennifer, I am glad you like them. Have fun! Love the shadow puppets for reading time idea. This is a must try for my girls and I? Thank you Natasha, so glad you can use them. Thanks for sharing at #WeLoveWeekends. Can’t wait to try the shadow puppets! Thanks for sharing on the Preschool & Kindergarten Community Weekly Link-Up post. Very cute idea!! Jolanthe, Thank you! I appreciate you taking the time to stop by and comment. Wow, what a fun collection of books, and I love the addition of the shadow puppets too! Thanks for sharing with the #KidLitBlogHop. Thanks for the nice comment Katie. Glad you liked the shadow puppets and farm books. Love this down on the farm fun! I will be featuring this post at the Thoughtful Spot Blog Hop tomorrow! Thanks for linking up! Thanks Laura. I am thrilled to be featured. The shadow puppets are amazing. My kids love to lay in bed at night with a flash light and make shadow puppets. So glad you like them Jodie – that means a lot. Yes, we have had a lot of fun times playing around with hand shadows and shadow puppets too. You really cut around that pigs tail. See, I’m just not that detailed. LOL. Thanks for making the video. I love the book ideas too. Hi Toni, thanks for stopping by. I love little details like curly pig tails lol Glad you liked it. Shadow puppets are such a great idea! I never could figure out how to make those animal shapes with my hands…lol.